Jeb Brewer was one of 17 Sevan Multi-Site Solutions, LLC (Sevan) team members who participated in the 34th Annual Army Ten-Miler in Washington D.C. on Oct. 7 in support of The Fisher House Foundation. As a Veteran Owned Small Business, Sevan proudly supports the endeavors of The Fisher House Foundation and worked hard to raise funds and awareness for Fisher House. In total, Sevan Veterans were the top donors with a total contribution of $26,425. Jim Evans, Sevan’s President and CEO, was just a couple hundred dollars short of being the first-place contributor with $8,600. Proceeds from the Army Ten-Miler support the lives of service members, veterans and their families when they need it most. For more than 25 years, the Fisher House program has provided a home away from home for families of patients receiving medical care at major military and VA medical centers. These homes offer free, temporary lodging to military and veterans’ families, allowing them to be close to their loved one during a medical crisis and focus on what’s important—the healing process. There are more than 75 Fisher Houses located in the US, Germany and United Kingdom. Brewer, a senior project manager at Sevan, ran his first race ever for a few reasons. First, he used the event as a goal for a new health regimen. Second, Brewer said that as a remote employee, he thinks it’s important to find ways to connect with others at Sevan. Sarah Everson, an assistant project manager, also enjoyed the comradery aspect of the run. Lastly, Brewer is an American patriot. “I consider myself a patriot and believe that it is hugely important to do anything we can to support our veterans who protect our country,” he said. Senior Project Manager Tyler “Ty” Thomas agreed. Brewer’s experience was excellent, and he greatly appreciates the sense of accomplishment he got after completing the run. 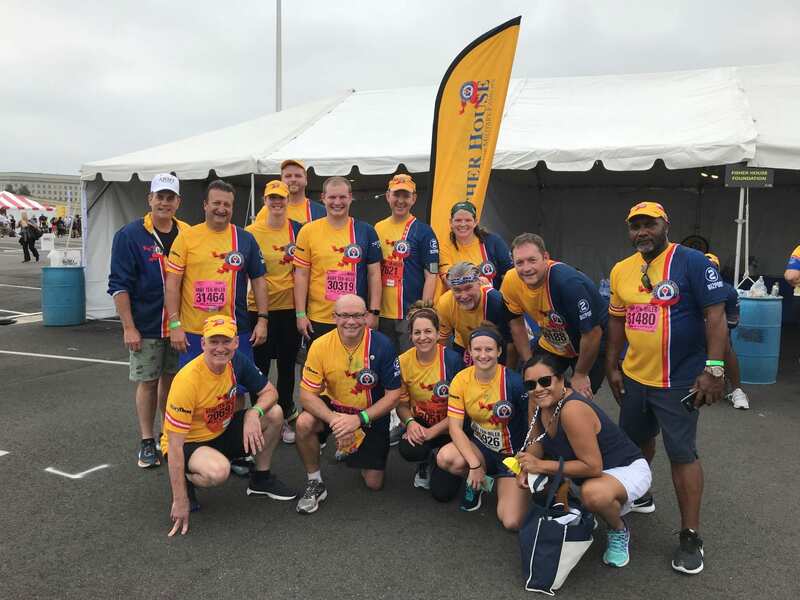 Other Sevan team members who participated in the Army Ten-Miler include Ashley Brown, Ron Deffenbaugh, Max Evans, Sarah Everson, Trevor Havrilka, Tim Kratz, Stacy Roye, Scott Poole, John Schneider, Michael Simone, Chris Souther, Chris Truschke, Erika Truschke and Thomas Tyler. The team’s fan club, who cheered for Sevan’s team members instead of running, included Jim Evans and Angelica Poole.